Bone scraping on bone — you can practically feel the excruciating pain just thinking about it. 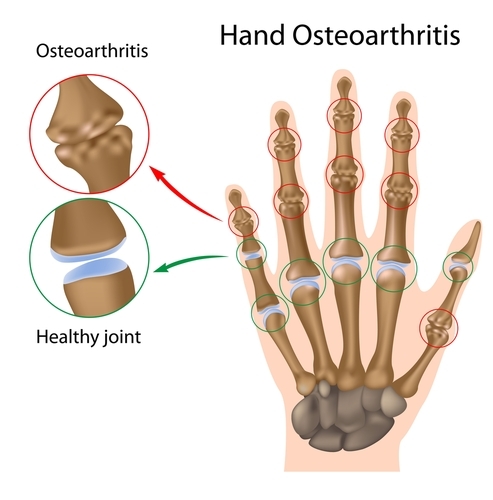 Sadly, that’s what happens to people suffering with osteoarthritis (OA), a degenerative joint disease. Except for joint replacement surgery, no cure exists and the available medicines only work on the symptoms, pain and swelling, and not the underlying cause. On top of that, long-term use of the drugs carries potential serious side effects including gastrointestinal bleeding and increased risk of a heart attack. The statistics on this disease are just plain dreadful. 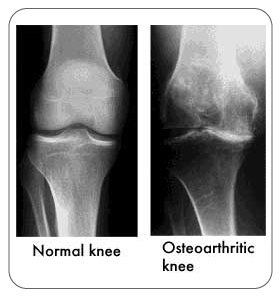 It’s estimated that 250 million people worldwide have osteoarthritis of the knee. And 43 million globally have a moderate to severe form of OA. Based on a 2011 analysis, OA was the second-most expensive condition treated in U.S. hospitals amounting to nearly $15 billion in costs. Imagine the increased quality of life for millions of people around world and the enormous health care savings if a cure were developed? A study published on Tuesday in Stem Cells Translational Medicine may turn the tide toward a lasting treatment for osteoarthritis. A research team at the University of Manchester in England reported that they repaired knee joints in animal studies by implanting cartilage cells derived from human embryonic stem cells (hESC). In a healthy joint, the ends of the bones are capped with cartilage, a hard but slippery substance that allow the bones to slide smoothly against each other. The cartilage also acts as a shock absorber for the joints when the body is in motion. This protective tissue in the joint gradually degrades in OA. The degradation in some cases is initiated by an injury even a minor one. Because cartilage lacks blood vessels, it doesn’t receive nourishment from the blood and is no good at repairing itself. And so eventually the bones at the joint are exposed and begin to rub against each other leading to severe pain, swelling, and reduced mobility. In previous studies, the University of Manchester research team led by professor Sue Kimber, devised a method for specializing human embryonic stem cells into so-called chondroprogenitors, or cells with the potential to form cartilage. Compared to this preliminary hESC work, the use of cartilage-producing cells derived from adult stem cells is already being tested but the source material is limited making that method ultimately very costly and not scalable. hESCs, on the other hand, can be grown in unlimited quantities for large-scale, off the shelf cell therapy for the millions of OA sufferers. If you’re still following along, you might be thinking “but wouldn’t those hESC-derived therapies be recognized as foreign and rejected by the OA patient’s immune system?” That is a serious hurdle, but data from other labs hint at the possibility that cartilage repair may be possible with minimal tissue matching between the donor cells and the patient. There is also reason to believe the cartilage derived by embryonic stem cells (ESCs) might be superior to that created to-date from adult stem cells. The latter tends to produce a softer form of cartilage than the hard cartilage found in our knees called articular cartilage. Because the ESCs produce cells that are earlier in the development cycle it may be possible to push them to become the sturdier cartilage we want in our knees. CIRM grantee Darryl D’Lima at The Scripps Research Institute has shown that seems to be the case in his preliminary studies. Finally, a big concern of using hESC derived cell therapies is that some unspecialized cells will remain in the implant with the potential of unlimited growth leading to tumor formation and cancer. But in this study the results were encouraging since no irregular cartilage formation or tumors were seen. Good to know about the research being carried out which some day may make knee replacement a thing of the past and a procedure that is no longer required. Had ESC on August 17, 2017 in both knees. Its now October 8, 2017 and the pain in my knees is still very bad. Also now my lower back is hurting and both legs have some needle and pin sensation. I waited 3 weeks from procedure to golf, and I was told it was ok to do so by the stem cell clinic. Wonder why this is happening? Dear Janet, thank you for reaching out. We’re very sorry to hear about the pain you’re experiencing in your knees, back and legs. Because our Agency merely funds stem cell research and is not involved in the actual care of patients, we are not qualified to provide any medical advice about your current condition. We recommend speaking to the stem cell clinic that performed the procedure or with your physician. I am preparing to have stem cell injections in 3 sites this Friday, March 2, 2018. both knees and my shoulder. I’ve been doing research to try and find some postive outcome stories, but so far most of what I’m finding are stories likes Janet’s. The clinic where I’m having it done uses Embryonic stem cells and cord blood, which they say is the best. But I’m concerned because they have not done any digonistic testing to see if it’s appropriate for my situation. I’ve had two partial knee replacement surgeries, which made my knees worse, and now both are bone on bone. Any suggestions? Please tell where i can try this treatment. This approach is still in the early stages of research and even if it continues to show success it could be several years before it is ready to be tested in people. But we shall certainly follow its progress and let you know what happens.